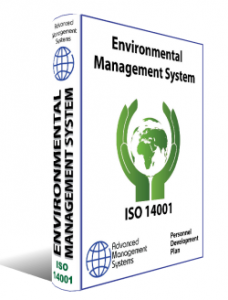 This comprehensive course enables participants to develop the necessary expertise to audit an Environmental Management System (EMS) based on ISO 14001 and to manage a team of auditors by applying widely recognized audit principles, procedures and techniques. During this training, the participant will acquire the necessary knowledge and skills to proficiently plan and perform internal and external audits in compliance with ISO1911 the certification process according to ISO 17021. Based on practical exercises, the participant will develop the skills (mastering audit techniques) and competencies (managing audit teams and audit program, communicating with customers, conflict resolution, etc.) necessary to efficiently conduct an audit. The “Certified ISO 14001 Lead Auditor” exam fully meets the requirements of the PECB Examination and Certification Program (ECP). After successfully completing the exam, participants can apply for the credentials of Certified ISO 14001 Provisional Auditor, Certified ISO 14001 Auditor or Certified ISO 14001 Lead Auditor depending on their level of experience. Those credentials are available for internal and external auditors. A certificate will be issued to participants who successfully pass the exam and comply with all the other requirements related to the selected credential.